The RCN has called for certainty on the future recruitment and status of European Union (EU) nurses in the UK following the release of government guidance on how to prepare for Brexit if there is no deal with the EU. The college also expressed concern on the latest workforce statistics from NHS Digital, which show the number of nurses and health visitors in England has fallen from 320,422 in January this year to 318,595 in May. 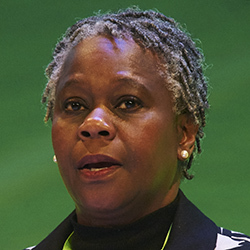 Acting RCN general secretary Professor Dame Donna Kinnair said: ‘On the same day the government raises the alarm about the no deal cliff-edge, new workforce figures show nurse numbers have plummeted still further. ‘For as long as the UK fails to train enough healthcare professionals of its own, recruiting from Europe and the wider world must be as easy as possible. She added that EU nurses were still uncertain about their future of guaranteed settled status in the UK following Brexit and losing EU staff would put ‘further pressures on our overstretched and understaffed health services’. Yesterday the government published 25 technical documents, including details on regulating medicines and workplace rights in the event of a no-deal Brexit. Health and social care secretary Matt Hancock also wrote to all NHS organisations, setting out the government’s preparations. He stated the government recognises the ‘valuable contribution’ that EU citizens have made to the healthcare system. ‘The Home Office has recently launched a toolkit to assist employers in reassuring and supporting EU citizens already resident in the UK and their dependents to apply for settled status. He added: ‘The government recently announced that doctors and nurses are now exempt from the cap on skilled worker visas. He warned that clinicians should advise patients the government has plans in place to ensure a continued supply of medicines to patients ‘from the moment we leave the EU’, so patients should not need to stockpile medicines at home. But Brexit Health Alliance co-chair Niall Dickson said the government needed to provide more assurances: ‘What we need is a categorical assurance that patients will continue to get the medicines and treatment they need, no matter what happens in the negotiations. Mr Dickson said the alliance would continue to work with the government ‘to make sure these issues are addressed in future guidance and that the NHS is able to care for its patients without disruption of any kind’. The UK is scheduled to leave the EU on 29 March next year.